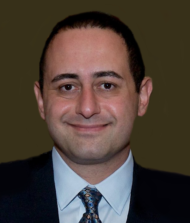 Dr. Azadeh is a Founding member of Grand Canyon Anesthesiology. He has over 10 years experience in practice management, creation and implementation of anesthesia models for numerous surgical centers and specialty hospitals. He has served as Chairman of Anesthesiology, member of MEC, and Medical Director at several Valley hospitals and surgical centers. Dr. Azadeh has extensive experience in anesthesia for open heart surgery and is certified in transesophageal echocardiography.